I absolutely love this pack. I hike around Washington state often, and am usually up near some sort of high alpine lake. The straps on this pack are much more padded than others, and its never chaffed, pinched, or given me any other types of problems. The Carbon Fiber in the frame in 2008's model is a definite bonus. Gregory definitely did a good thing reducing the weight with different materials and construction design. A few differences between the older and newer ones was the carbon fiber parts of the frame, and the plastic used in the hip straps has a different design that uses less material. I think they shaved at least a pound off the previous model's weight, and that was comparing my large to a medium. During most of my long hikes, my pack will weigh between 50 and 60lbs (carrying a Mountain Hardwear Trango 2). It definitely makes the weight feel a lot lighter than it actually is. After a good 11 mile hike, I'm ready for more. I can definitely see why this backpack won Backpacker's Choice of the year. My intent with my backpack purchase was something I could take on 2-3 day trips. Eventually, I want to go on week long trips. Something strong, something REALLY comfortable, something that allowed for a lot of organization. The Baltoro delivers on all fronts! Other things one can sacrifice a little on comfort, however, the backpack is one of the most important items so no sacrifice should be made. My brother recommended this be one of my splurge expenses, particularly since I suffer from a weak lower back. The suspension "floating" system of the frame is unbelievable. The extra pad that rests on your lower back made this bag stand out from all the rest. the adjustability is unmatched. I am 5'10" but have a smaller upper body. I actually bought the small pack and had it adjusted to the largest thorso length and it fit like a glove. On my first trip out (zero trail experience, only moderately in shape) I was able to hike 8 miles day 1 and 12 miles day 2. My pack was comfortable the whole time. In the future I might even get into packing lighter. I really believe this is the pack that is minimalist enough to get all your ultralight gear in for even week long trips. Other loves I have for this bag: The material of this bag looks, feels, and has performed bomb-proof. The top, front and bottom access is fantastic. Secondary pockets on top, sides, and in the front for all your anxillary needs. The zippers are heavy duty and water resistant. I fit my 3L water bladder in here no problem with all my stuff. Love keeping hydrated at all times. As still a novice hiker, I think I carry a lot of stuff maybe I don't need, but I do like to have, so my space is tight in the pack. My pack is weighing in at 37lbs. full, just to give an idea of how much stuff can fit in this thing even though it's just a 70. Love this pack. The minus .5 is because I believe it is on the heavier side of bags this size. But my comfort and adjustability made it worth it as I don't feel it. Love this pack, virtually no problems with this pack over many canoe trips/portages, 8-mile round trips through fossil creek and the 25-mile crazy hard trip through west clear creek wilderness over the last year. Good design, decent space, awesome suspension but at the beginning of each trip the pack squeaked a little for about 20 min. All in all a great pack for the money. Max. Load Carried: 55 lbs? My first review, so I won't pretend like I'm some sort of a backpacking pro. I'll be straightforward with you, because that's how I like it. First off, let me start by telling you me honest opinion: What a great pack. There were some seriously great minds used in the engineering of this pack. Just spent my 21st birthday with this pack in Providence Canyon, GA, backpacking 3 days through mud, muck, gravel, loose sand, etc.. and the pack was a comfortable ride the entire time. Also was able to pack it like a mule and still carry my load comfortably. Some downfalls might include the regular side pocket (the one that does not fold out) doesn't hold a water bottle when the pack is full. Mine slipped out so I just kept it inside the pack. Access to the pack through three different loading areas did prove to be useful, and although at first I wasn't sure about it having enough pockets, I'm sure that as of right now it does. I really like the fold out water bottle pocket on the right side, although it does take some serious bending/flexing/pretzeling of the arms to get it back in and secured. Also liked the compression straps, double closing pull at the top for the extra 10 liters, hip-belt pockets were big enough to hold 2 Clif bars or a digital camera, maybe could be a little bigger, but I'm rating the pack as it is, not the way I want it to be. . Very comfortable, very durable, very bombproof. Solid stitching and bright minds put this together. It's going to take mountains to break it apart. Used this pack for a two-month trip through Central America, and it was the only piece of gear I brought which didn't break down, and I abused the hell out if it. It survived days and days of being crammed on top of, inside and all around sketchy buses, up and down a two-day trek up Cerro Chirripo (a 12500 foot peak) in Costa Rica, and lots (I mean lots) of time being hauled all around over and through the jungle. I never used a pack cover, and my gear never got wet ever! I even wore it while waking under a waterfall with no problems. 1. They could of easily cut down on weight by removing a few internal straps, flaps, and cords, which I don't see anyone ever using. 2. The suspension has this plate (looks like carbon fiber but probably is not) which squeaks with every step, annoying the hell out of everyone around you. I think this what might have been breaking for the other users on this site. 3. If u use a larger hydration pack, there is a bolt (yes, a bolt) which I could see rubbing a hole into it. This didn't give me any problems though. I bought my first Baltoro 70 at REI in 2008 to hike 50 miles on the Appalachian Trail in the Massachusetts Berkshires. The fit and ability to adjust was without equal. However, one time a few years later, I went to put it on to do some training, and found the belt had cracked through on both sides. I contacted Gregory and they told me to take it back to REI with the e-mail for a replacement. Since Gegory had discontinued the 70, REI replaced it with a 75. I couldn't be happier. Outstanding service from both Gegory and REI. While REI might charge the full price, they have always stood behind their products and I've never had reason to complain about their customer service. Welcome to Trailspace, Old-Timer. Do you have any pictures? This pack is my go-to when comfort is needed for lots of gear for long or heavy trips. The pack does weigh quite a bit but compared to others its size and ease of use, not all that bad. Hard to tighten when not carrying a load of gear. You should really get a smaller pack when trying to go light. I sometimes go with friends and want commodities that I don't usually take on solo or long distance trips. You really have it all in this pack. Top or front loading and unloading quickly if needed. Plus, the way you can organize the pack to reach anything at anytime along the way. The pockets are great for on the trail snacks, maps, water etc. at your fingertips. Able to find gear easy because opens from top and front. I used this pack to hike in Baxter State Park. For folks who have hiked there they know how rugged the hikes are when going up to Davis Pond and then over to Chimney Pond. This pack is comfortable and stable. I had plenty of space in the pack. Lots of pockets to store all kind of goodies. This pack is very durable I have always used military rucks so I am hard on gear. Used pack cover in rain and wet conditions and everything stayed dry. This pack is extremely comfortable, but get the correct fit when you buy it to ensure comfort. It is also very manageable becuase of the several access locations that allow you to get stuff out of different areas of the pack. The only problem that I had was an ice axe/ hiking pole loop ripped off. The first time I used this pack I was able to stuff all of the gear that an inexperienced backpacker thinks he needs to bring along. However, I purchased a hipbelt that was a size too large so the pack always slid down my hips whenever I tried to support the weight with my hips (which is what you're suppose to do). This mistake was very uncomfortable. I just downsized the hipbelt the next chance I got and haven't had a comfort issue since then. Back to my comment about excess gear and pack size; now that i know what I am going to need I don't bring along quite as much. The backpack cinches down very well to accomodate the smaller amount of gear. A feature that really stands out about this pack that I had never seen before was the water bottle pocket on the right hand side (when wearing the pack). It fits a nalgene perfectly and keeps the bottle secure. I've never had a problem getting the bottle out one handed (once I figured out how the bungie works). Oh and the hipbelt cinch is great, it doesn't require alot of akward pulling. p.s. I only gave it 4.5 stars because nothing is absolutely flawless (or perfect). This is the most comfortable pack I've ever worn. This is the most comfortable pack I've ever worn. At 70 liters it is a good for 4-5 days, with plenty of additional compartments if you are an organizer like me. This award winning backpack is a dream to wear. The belt and shoulder straps use a swivel attachment mechanism that ensures both comfort and optimal support. There is a trampoline divider in the main bag expressly designed to separate sleeping bag/pad from the other gear stored above. To make this of practical use there is a separate zip opening in the bottom below this divider. There is also access from the top of the bag and the front. There are side and front pockets as well as a top cover with a built in water resistant zippered pouch. The hip belt has a mesh pocket on the right and left hand sides. As if this wasn't enough there is a pop out water bottle pouch, and gear loops on the outside of the bag. There are two toward the bottom that work perfectly for holding trekking poles when not needed. There are also several compression straps to snug up the pack. It also is hydration system ready with bladder holder and hydration tube ports on the left and right side of the pack. This model has been an award winner since its introduction years ago. Gregory has continued to upgrade this pack since then, but it is essentially the same award winning bag as it was when created. It's hard to praise this pack too much. Features like the dual top collars with it's own compression strap meant illustrate the attention to detail that has gone into this pack. I use the two side, front and top pockets to sort out small items that need to be kept close at hand. This pack has been through rain and mud, snow and dust. I have not pampered it in the field one bit. With all that normal rough trail use it looks today the same as it did three years ago when I bought it. I know people say that compared with today's lightweight bags it is a bit of beast. I say right back that when I find a lightweight bag that is as comfortable as this one I'll buy it. Hasn't happened yet. I got this backpack a couple years ago as a gift and it is very comfortable. I am trying more and more to go light (this backpack is not considered light) but usually still carry about 35+ pounds for a warm weather backpack. The hip belt stays put better than other packs I've tried. The shoulder straps are padded well enough so I don't get pain in the shoulder or neck. There are several ways to access stuff inside the main compartments and I like the water bottle holder-very convenient. This pack expands to hold a "whole lotta" stuff. Rugged, simple, everything you need, nothing you don't! Rugged, simple, everything you need, nothing you don't! Had for about 4 years now and it makes 60 lbs. feel like 15lbs! I have made everyone I know buy one and they all love it. This is the ultimate bag. Really like the pack and if it is comfort you are looking for, then this is it. I only gave it 4 stars because I like a few more small pockets for immediate need items and a few more spots to tie on gear. Also, the larger side pockets are good, but what you put into them can settle at the bottom. Other than that, it is roomy, comfortable, and feels light with a decent load. I tend to pack heavy, so like that aspect. I just got my Gregory Baltoro 70 and have yet to use it. Looking over it I am really impressed with the quality. I will have to write another review once I have hiked with it. I really just wanted to let people know that I was able to get one for only $175 from GearX.com. The regular price there is $189. I was able to use a coupon code to save an additional $15 and the shipping is free for orders over $120. Make sure you search for a GearX.com coupon code to save that additional $15. This is by far the cheapest price I have found anywhere on the internet. Good luck! Bought this bag in May 2008, since then I've used it for all my travels. fits very well and very easy. to access the front of the pack. the suspension works very well. the two pockets on the belt. pockets for water bottles are unreachable. the upper lid cannot be removed for use as a day pack. Squeaks every step I take. I have about 300 miles on it and a couple good rain storms and it still screams at me all day. I like the suspension, less the noise. I wish the pockets on the hip belt were a tad bigger. I can actually reach my water bottle without dislocating my shoulder or asking for help. If it didn't make so much damn noise, it would be my favorite pack in 20 years of backpacking. For now, it sits in my closet waiting for trips along rivers or other noisey distractions. Gregory customer service has not returned 3 phone calls and 2 emails. That part is a bummer. GREAT PACK! Been on many backpacking trips with it the last two years. 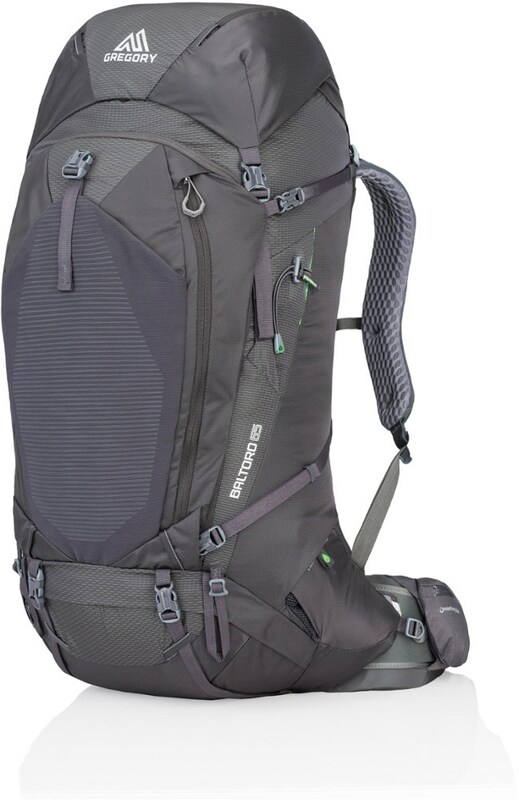 On an average 7-hour day trek on and off trail, through steep and rocky terrain this pack feels superb on my back. With the weight distributed on the heavily padded pivoting hip belt I can feel no pressure on my shoulder, or on the hip for that matter. Just remember one thing though, it doesn't matter what pack you have, if you pack it wrong, it's going to be uncomfortable... period! I LOVE THIS PACK! First, let me say, I am a woman and bought this pack mid-summer. When it comes to pack fit, it's all about what feels best, isn't it? I went into the outfitter's shop pretty much decided on the Gregory Women's Deva 60 because the weight, colors and bells and whistles were appealing but when I loaded it up and strapped it on, I could never get the fit between shoulders and hip belt to fit just right. After trying a few other Gregory packs I settled on this one because it hit just right. Have not second-guessed that decision since hitting the trail. It is heavier than the Deva but I found the waterproof bottom panel a useful feature. And having both top and front access AND a separate bottom section makes it easy to pack and quickly find whatever you need on the trail. External pockets also very handy for little things. Only drawback is that at 4100 cu (small) I will be tempted to fill it with more than I need. Compression straps will certainly keep things in place but its WILLPOWER that will be required to keep the weight below 35 lbs! I have been backpacking for 35 years and have only had 3-4 backpacks the entire time. I like numerous pockets rather than one main compartment. This pack fits the bill. I have had it two seasons and used it on several week long and shorter trips. I was concerned about max weight and capacity. However, it has done very well and I can pack my bear canister without a problems. It is very comfortable! I looked an many different models and manufactures. I am happy with my choice. Gregory did it again, another great product. 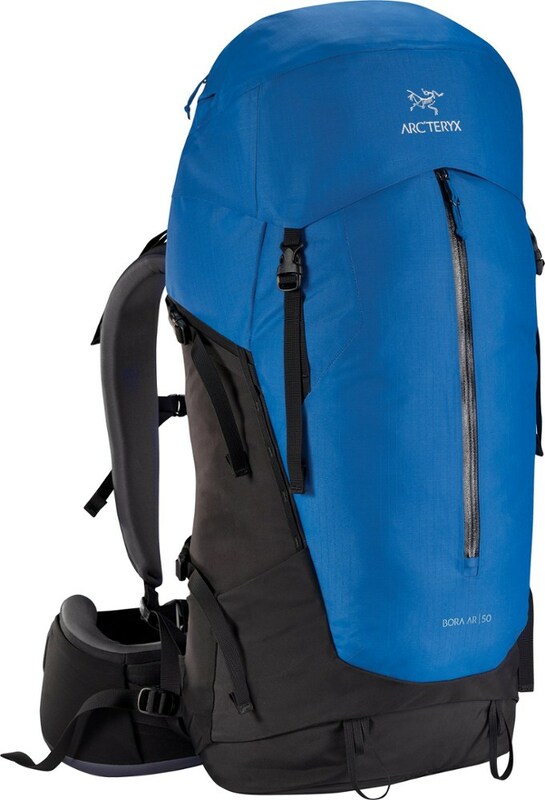 This pack is great for heavy long trips. I have put up to 70lbs in it for practice hikes and had no problems. It is SUPER comfortable and carries weight VERY well. Every time I put this pack on I smile because I know I will not be in any pain at the end of the trip. Thank you, Gregory. I had to replace my Gregory Keeler that I used for one summer with the Baltoro because it got stolen. This pack fits very well and has a couple different features than the Keeler. First, this pack comes with a Nalgene water bottle holder on the side. I've found that you can grab the bottle out while the pack is on, but it is almost impossible to put the bottle back. Also, this pack does not have daisy chain loops on the back for hanging gear off of at all, which is very disappointing. It only has two large pockets other than the main bag area. I have to store all loose items in ziplock bags to keep things separate in the large pockets. Lastly, the top cannot be made into a day pack like the women's Diva. It is not equipped with the appropriate straps which seems a bit cheap. Although not super-heavy, this thing is a work-horse that can take very heavy load. This is a solid pack and fit me very well. I have been backpacking for over 10 years and there are some companies that have stood the test of time in producing quality gear--Gregory is one of them. Make sure this is the right model Gregory for your trip, but past that do not hesitate to purchase this pack. This particular model is ultra-comfortable due to Gregory's new suspension system. I highly recommend this pack. The plastic plate used to attach the right strap to the pack at the shoulder broke the night I began a climb of Mt Hood. Had a spare pack not been available my climb would've been over. At least it didn't happen on the mountain. Upon return to REI, a similar event was mentioned concerning another Baltoro. Sorry, but this pack has a problem. A shame as it fit well, appeared well made, and was quite comfortable. I bought this pack from ebags and got an excellent price. I am taking a year long trip and started it in February. The first day of my trip the snap that holds the waist padding in place broke. I believe it may have been defective as it separated instead of unsnapping. I am at my first stop in Guatemala and you can imagine how dissapointed I am. But what makes it worse is that Gregory has not responded to any of my emails about the problem. For customer service reasons alone I would recommend buying another brand. Also, this paticular model is a new one for Gregory and may have a design flaw. It’s a great pack, extraordinarily comfortable. Max. Load Carried: 53 lbs. 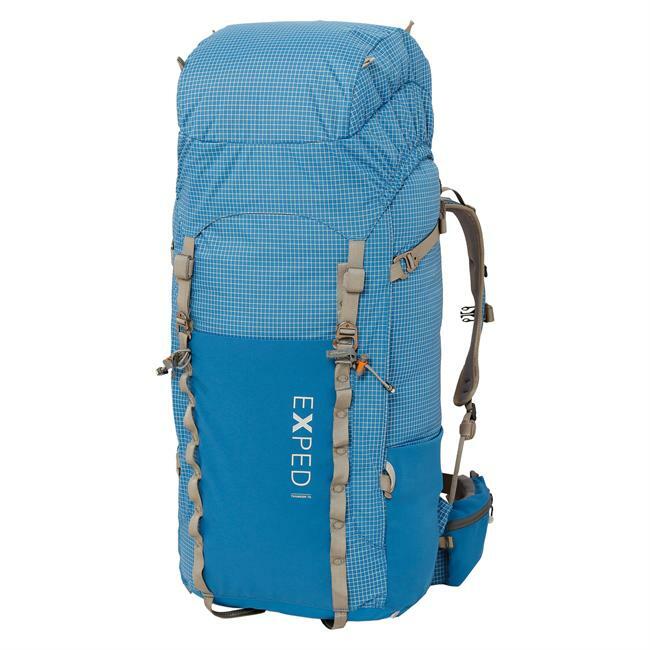 It’s a great pack, extraordinarily comfortable. For a couple of days, even in the cold, it will treat you very well. It holds my -20 bag, pads, winter tent, stove, three days food, thermal gear and some spare socks very, very nicely. I'm afraid I have to turn it in for something a little bigger, as it is not quite big enough for cold distance trips, but for a 2-4 days, it's probably the most comfortable pack I have put on, perfect weight distribution. Gregory has done it again. Best packs out there. WOW! What a great pack. Gregory really spent a lot of time redesigning the suspension. I took this bad boy to the Grand Canyon for two nights and the whole trip - going down and up was very confortable! I would not leave home without it! Lot of space, very versatile, incredible suspension, great backpack for weekend trips and more! Took it to the Wind River Range in Wyoming for 5 days. Took it to the Wind River Range in Wyoming for 5 days. Overall, a decent pack for for long weekend/short week trips. Was comfortable with a 50-60 lb load, though I would personally not load it any heavier. I was really impressed how easy it was to move on highly variable terrain. The side pockets were perfect for fuel bottles. Now for what I didn't like. The Nalgene sleeve was awkward to use while the pack was on. Like other reviewers, I think the weak points of this pack are where the shoulder straps attach to the frame. Overall I probably would not buy this pack again due to concerns about durability. 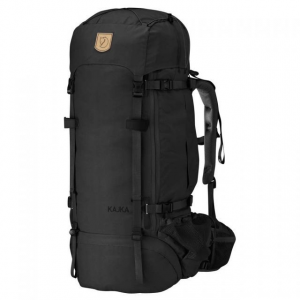 The Baltoro 70 has been discontinued. 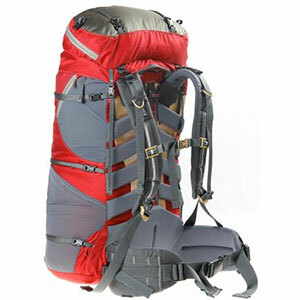 The Gregory Baltoro 70 is not available from the stores we monitor. It was last seen October 31, 2015	at REI.